This policy document covers a lot of ground, including wearable technologies, ‘big data’, artificial intelligence and precision-based healthcare approaches. The aim of this paper is to address how best these new technologies can be used, not only for the benefit of the patient but also to help streamline physician’s workload and avoid burnout. 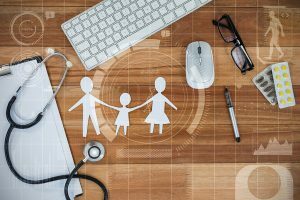 However, despite the claims that these new technologies will improve patient outcomes, there is a lack of evidence that they actually improve outcomes and quality of care. The paper also notes that the early adoption of new technologies into the patient population could have unintended consequences, and as such the medical community should tread carefully. By gaining a better understanding of these new innovations, the benefits – which are yet to be fully realised and measured – can be better exploited. healthAnother fascinating, and ambitious project is the Human Cell Atlas  which aims to create a 3D map of all the cell types in the human body. This open-source project involved 19 international scientific institutions and over 500 scientists. Wired Magazine reports that researchers are using single cell genomics to map cell types so we can visualise how they function in healthy states, when they malfunction and also what happens during drug-interactions. The implications for this is profound, not just for cardiology but for medicine as a whole. Clearly, the healthcare and medical community is at the start of a long and winding road. Hopefully, with the right approach we can navigate this journey so that eventually patients and physicians alike can reap the benefits of these new and exciting technologies.